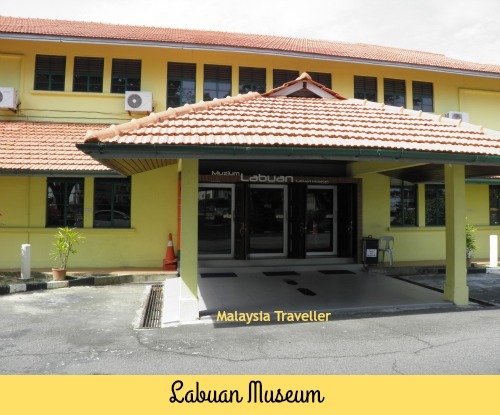 Labuan Museum (Muzium Labuan) is a good place for any visitor to Labuan to obtain an overview of the territory’s colourful history and learn about the cultures of the various local communities. The museum was opened in 2004 and is housed in a two-storey building in the heart of town facing Dataran Merdeka. 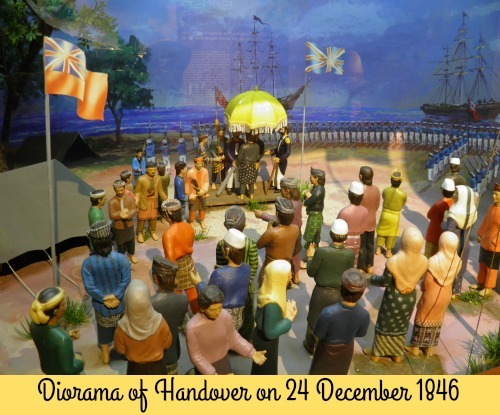 The ground floor has a gallery dedicated to the chronological history of the island of Labuan from pre-history, through the British colonial era, Japanese occupation, the post-war period and the development of Labuan as a Federal Territory. 1846 - 1890. Labuan was ceded to Great Britain by the Sultan of Brunei as a base to control piracy and was run as a British Crown Colony. 1890 - 1906. Taken over by the British North Borneo (Chartered) Company. 1906 - 1942. Became part of the Straits Settlements, together with Singapore, Penang and Malacca. 1942 - 1945. Japanese Occupation. Labuan was renamed Maidashima. 1945 - 1946. British Military Administration. 1946 - 1963. British Crown Colony. 1963 - 1984. Became part of Malaysia, together with Sabah. 1984. Declared a Federal Territory. 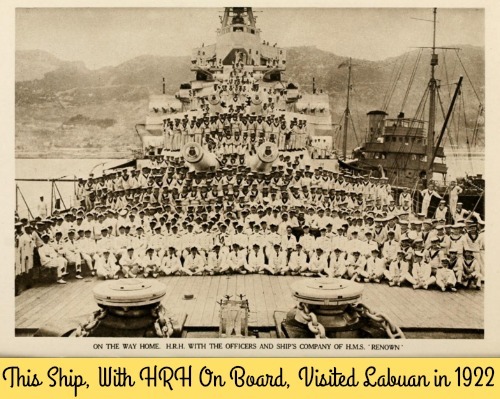 Labuan’s flag has changed half a dozen times over this period and the territory’s interesting history makes Labuan’s postage stamps a fascinating topic for philatelists. Exhibits include a stone quern from the Neolithic period which was found on Burong Island, old photos, a collection of wartime weaponry, currency and stamps from the colonial era. Upstairs is an exhibition on the social, cultural and economic lives of the main ethnic groups making up the island’s population, namely the Brunei-Malays, the Kedayan, the Kadazan-Dusun, the Sikhs and other Indians, and the Chinese. 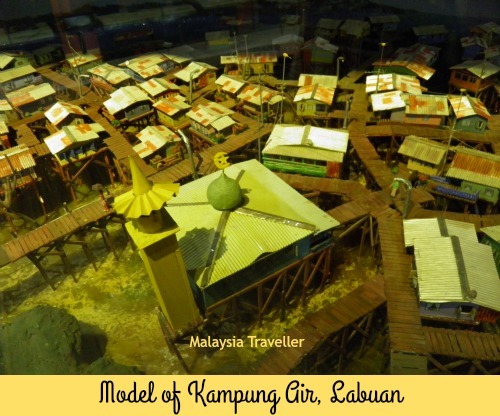 There is a replica of a Kedayan house made from bamboo, traditional wedding costumes and an interactive diorama of a water village depicting the daily life of the Brunei-Malay community who live in Labuan’s kampung air. 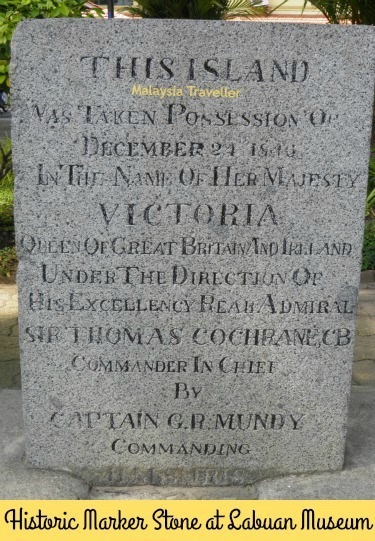 A carved stone commemorating the possession of the island on December 24,1846 by Capt. GR Mundy in the name of Queen Victoria. A stone commemorating the visit in 1922 by the Prince of Wales (later King Edward VIII) on board HMS Renown. A memorial commemorating the landing of units of the 9th Division Australia Imperial Forces on 10th June 1945 which led to the liberation of Labuan and Sabah from the Japanese. A plaque marking the renaming of Labuan as Maida Island (Maidashima) in memory of Japanese General Maida who was killed in an air crash on 5 September 1942 while en route to Labuan. Each corner of the square has a flame-of-the-forest tree planted in 1953 to commemorate the Coronation of Queen Elizabeth (one tree since replanted). This is quite a good museum, particularly for those interested in history. Apart from anything else it is air-conditioned and gives a welcome respite from the sweltering heat. It is also free so why not visit? After all, it’s not as if there is a great deal else to do and see in downtown Labuan. The Tourist Information Office is located next door. Closed on the first day of Eid al Fitr and Eid al Adha. I have marked the exact location on the map on my Top Labuan Attractions page.